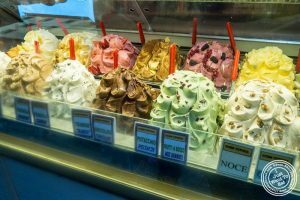 If you visit a gelato store, you will be surprised to see the number of gelato flavors on offer. Most customers will use the tasting spoons to make a decision on what to order. 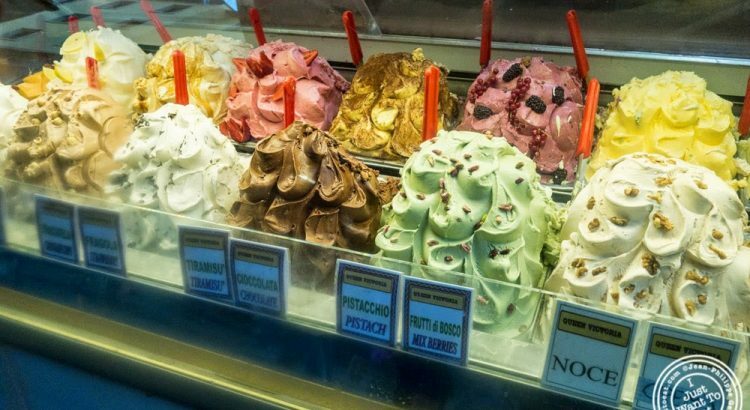 Here are a few of the most popular gelato flavors that should be tried. Bacio – Bacio means ‘kiss’, and is a flavor that has a combination of chocolate and hazelnut. Although this gelato has a pale brown color, the gelato provides a good dose of rich chocolate flavor tempered by the nutty taste of hazelnut praline. Sette Veli – This flavor is chocolate lovers dream and is named after the Biblical story of the seductive dance of the seven veils performed by Salome for Herod. This gelato flavor is a combination of different kinds of chocolate from dark to light, hazelnut praline, and crunchy biscuits. The ice cream is made alternating chocolate and nut layers, which makes a soft thick creamy chocolate ice cream with tiny crushed biscuits. Stracciatella – This gelato has a light vanilla ice cream flavor, packed with slivers or chunks of chocolate. The combination is perfect for a hot summers day. Tartufo – This gelato is named after the Italian name for “truffle”. The flavor is made by combining two flavors of ice cream and covering it in a chocolate shell, shaped as a ball. Most often the combinations include chocolate and hazelnut ice cream, covered with nuts like pistachio or almond. So the next time you visit a gelato store, avoid asking the server for a plastic yogurt spoon to test flavors and instead opt for the flavors above. In the market for a supplier of ice cream spoons? Gelato Products will have what you want along with related items like frozen yogurt supplies.